Few remarks about Ubuntu on Twitter and suddenly I am getting Linux-related suggestions in my Skribit widget. Considering this blog is purely about Windows – before I post something like “Ubuntu tips and tricks ” some basics need to be explained. Linux is free and open source operating system. It does same things as Windows just different way. Unlike Windows that is developed by single company (Microsoft ) Linux is free for grabs meaning anyone can take it and customize to achieve specific goals. Such customized versions are called distributions. Ubuntu is Linux distribution with goals of providing ease of installation and operation for average user . Since Linux has a history of being anything but that – Ubuntu managed to gain some fame and hint of chance for mainstream adoption for those goals. Ubuntu handles Internet and multimedia well so it’s possible alternative to Windows for home PC. Luckily there are few good options to try Ubuntu without changing anything in existing Windows installation. Ubuntu comes in the form of ISO file of ~700Mb size. This is CD disc image. Burn to CD (I suggest CDBurnerXP for that). Boot your PC from that CD. You get option of running Ubuntu directly from CD without using local hard drive. It is going to be slow (optical discs are very slow comparing to hard drives) but it’s easy way to get impression what Ubuntu looks and feels like. Wubi is Windows program that installs Ubuntu simply in the folder of your hard drive. Wubi will download Ubuntu ISO and use it to perform installation (no need to burn disc). After that you will have option of booting into Ubuntu instead of Windows. Performance is going to be bit slower than regular Ubuntu installation (that requires making changes to hard drive partitions unless you have spare drive for that) but much faster than LiveCD and easiest way to install. 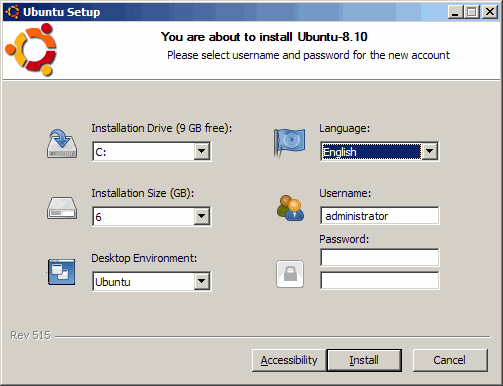 make full Ubuntu installation on virtual machine. This way is resource-hungry but checking out other OS by running it inside Windows is very handy. Ubuntu did great work on providing options to check it out without much trouble and commitment. So if you are considering moving to Linux in the future or simply curious about Ubuntu buzz – it’s really good and easy distribution to try. Thanks for this. I am planning to convert to Linux soon. I have bookmarked this for later use. Glad to help, as always. :) Had you already chosen Ubuntu as distribution you are going to use? Excellent Resource for Ubuntu beginners. I’m going to try Virtual Box soon…Thanks! Yeah, VirtualBox is excellent program (at least if hardware is decent). 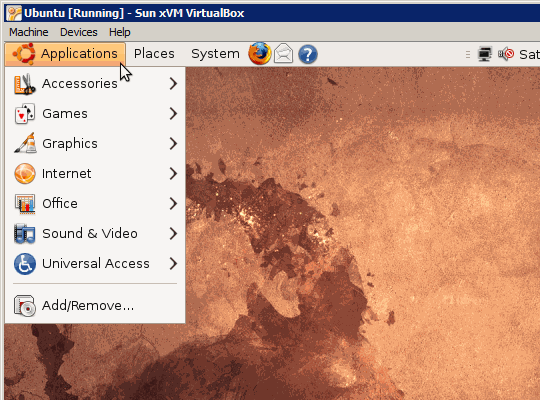 :) By the way it can bу used in opposite way – VirtualBox runs on Ubuntu so can be used to put Windows in a window. Thanks, a few Ubuntu posts would be great. I started using Ubuntu three years ago, when it was still hard to use, and I only come here now to read about portable windows software that I use to fix other peoples’ computers. Though, I have installed Ubuntu for about 20 people and it is now (since version 8.04) much more comfortable to use than Windows for most people. I have installed this new Ubuntu 8.10 Desktop just like any other windows application, and it is very faster than my windowsXP which I am using on other hand. And you can find many open source packages which can be installed just by one click using “Synaptic Installer” in Ubuntu. I am not using Linux much but it’s always good to have plan B. Trying Ubuntu from time to time since Vista disaster started. Glad it works for you. Which install method had you used? Wubi? Thanks, Rarst. Actually, I currently need a portable app that will let one recover files from a corrupted SD card connected via USB card reader. I have a phone that is always corrupting the cards. A friend of a friend once used some windows tool (I do not know if it was portable or not) to recover the files. I know of nothing like that in Linux, and all the windows apps I’ve seen require admin access. As the only windows computers that I have access to are the non-admin university boxes, I’d like a portable app to run there. Recovery is tricky area, needs lot of deep knowledge. Most of free software is very basic while advanced stuff is mostly very expensive and/or requires ot know what you are doing. I kinda suspected that. :) Suggest more interesting topics, it’s always good. I am happy that you have granted my suggestion and see some thoughtful comments from your readers :) HAHA. Well, that’s the idea behind Skribit. :) Suggestions about stuff that readers want made into posts. Thanks, I will try those apps. Keep the Ubuntu posts coming!